Fork are often considered the most recent addition to our set of kitchen appliances and utensil. This may seem a bit strange now, but for a very long time people were more than fine using spoons, knifes and their hands. And here comes a very important detail – the use of fork was (and is) depending very much on history – in many countries it’s not used that widely nowadays (like China or Japan). In many it was not used for a very long time, but is now. And in another set of countries it was used by certain people (for example, elite), and was avoided by the poor. Modern science thinks that Greeks were the first to invent and use the fork, or at least a prototype similar to the one we use today. The above is important to understand before you learn the fact that first forks (they very much differed from what you now have on your kitchens) were seen in BC age in Asia. Archaeologists find evidence in modern Iran and Israel. What is even more interesting, one of the first users of forks were some Chinese dynasties – and as you know now – not used today. Some mentions of appliances that are close to fork by their description can be found in Bible, but it’s hard to trace these as real physical remains of forks. Starting from 16th century forks became increasingly popular in Italy. Again, mostly royal families used it, or people close to them. And these kings & queens used to marry kings and queens from other countries, which helped a lot of things spread. The same situation is with forks – originally from Italy, passed to France, than – England. Again, many of the things were adopted by lower classes, but in case with fork, it didn’t become very popular until middle of 18th century. Some people were still using hands to put food into their mouth, and sometimes using forks was consider bad manners. A bit later, women began to use forks more and more widely, but many men still considered this was not for them – this is especially funny since European men of that time wore high heels and tights. But, what happened in the middle of 18th century? One short answer – industrialization. With the development of technology it now became easier to produce things, thus they became cheaper and a broader range of population could afford it. Also, somewhere around this time people became to understand that when you eat using fork (especially given it’s clean) – you take much less bacteria as opposed to when you use dirty hands. 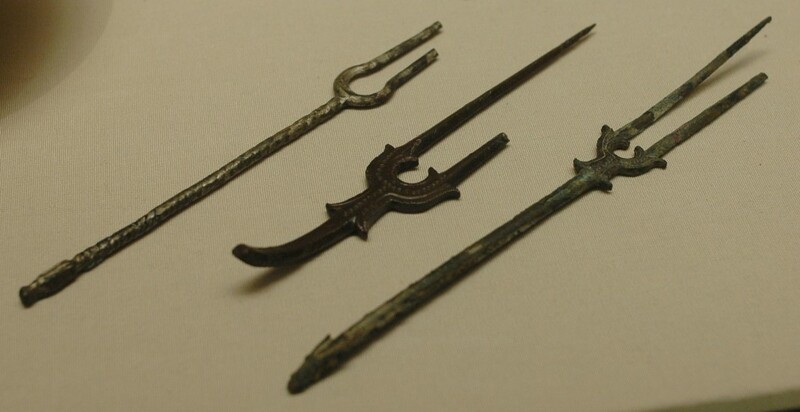 Since then, forks became increasingly popular and really didn’t change much as opposed to knives, for example.